I have made it pretty clear that I love a good steak. Like most things in life, moderation and portion size is key. If you have 4-6 oz of a better quality steak you shouldn’t need more than that. If you cook it properly, the flavor, the richness, and the quality should satisfy that desire for steak. So, perhaps this is my shortest post yet, I can’t resist posting this photo. 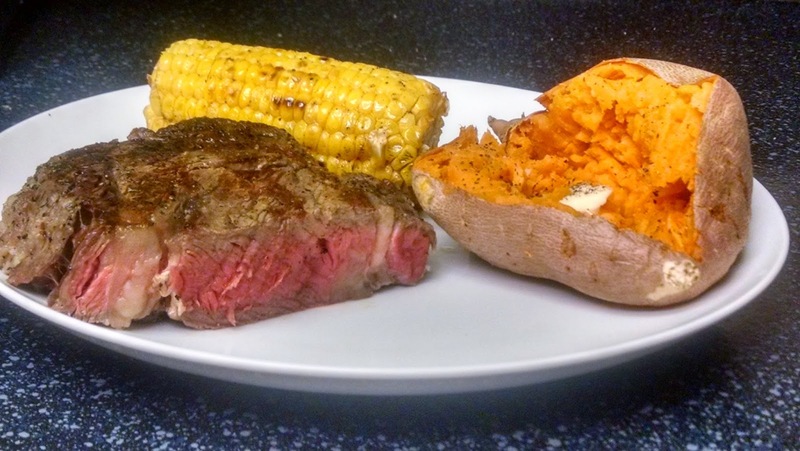 We have covered the how to deliver a perfect steak and corn, but review “Not Your Mama’s Corn” if you want more detail. This is the first of many posts to come today.